I have been talking about remodeling my closet for the past 2 months or so and guess what.. I finally finished! Its not the original layout I had in mind because I just have so many clothes not all the closet pieces were going to fit. But I do love the outcome! My closet is now neat and organized. I got all the shelves and cubicles from Target! 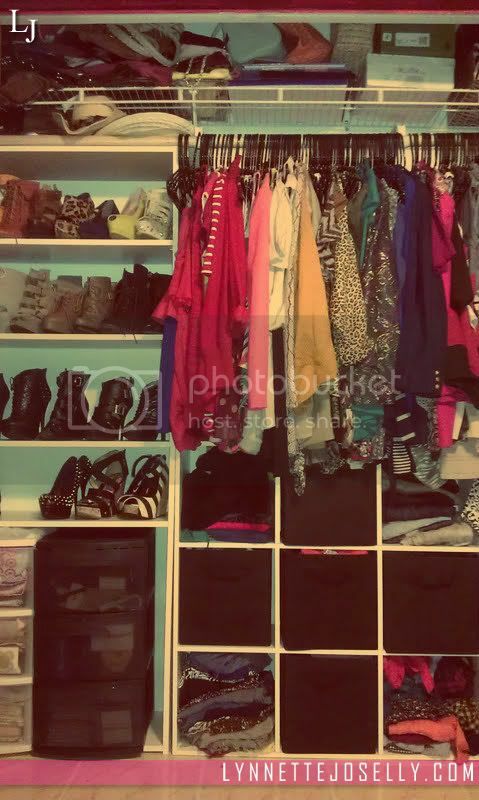 I used a book shelf for my heels, and I use the cubicle for some of my tops, jeans, pants, bikinis and scarves. 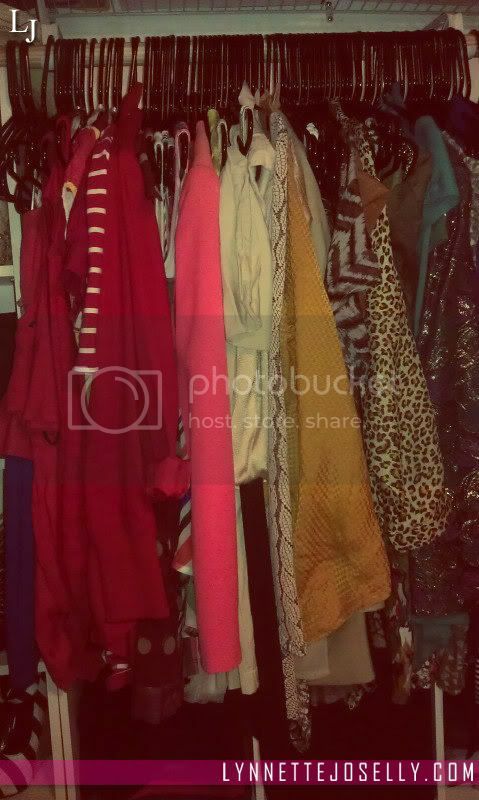 Everything is color coordinated and all the dresses and chiffon tops hang on black hangers. Side Note: I have OCD (Obsessive Compulsive Disorder) with hangers and need them all to be the same size and color now lol. Anywho, don't be fooled.. this is not all my clothes.. I still have another drawer full of clothes and another shoe self for smaller heels, and storage boxes full of flats and sandals.. Life Of A Shopaholic!! wow..so neat n oeganized..good job! !